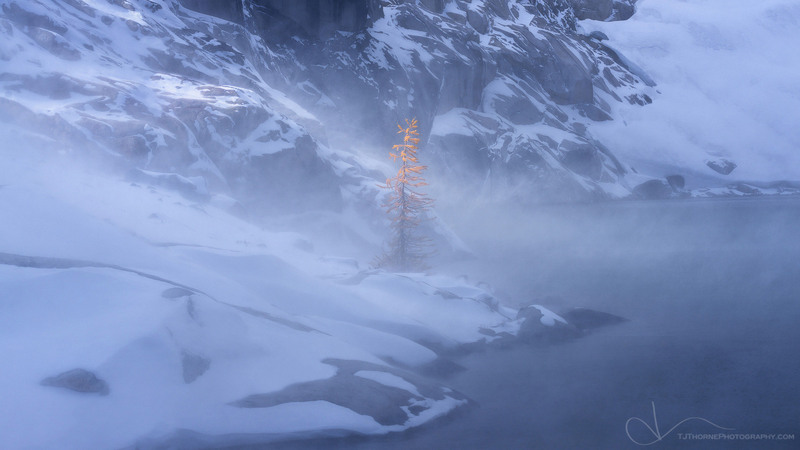 A lone larch tree in The Enchantments strives to bask in the light while it endures a snowy gust of wind. Stand strong little guy. I know how it feels to have to focus on the bright side while riding out the struggles in life.